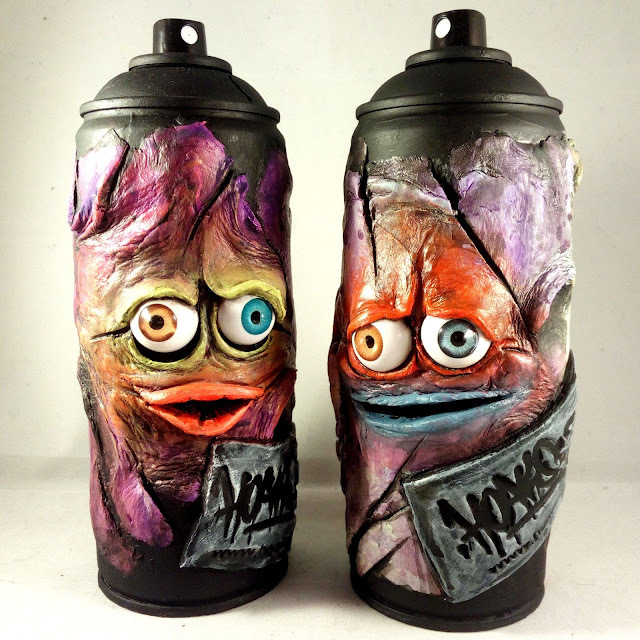 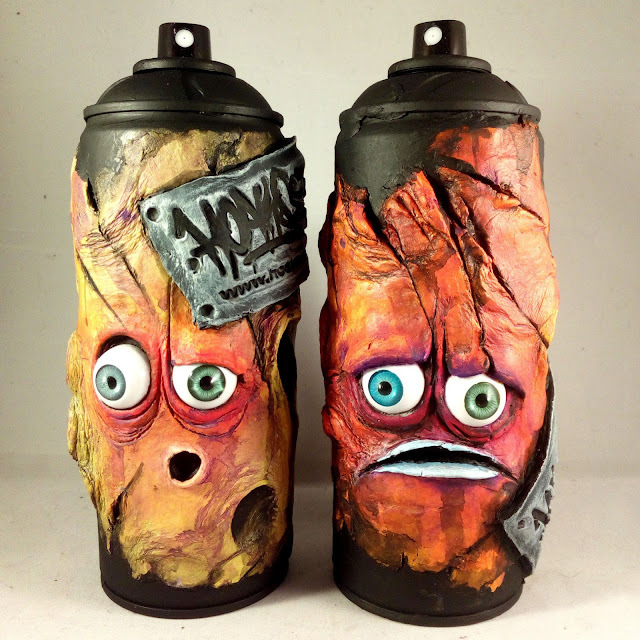 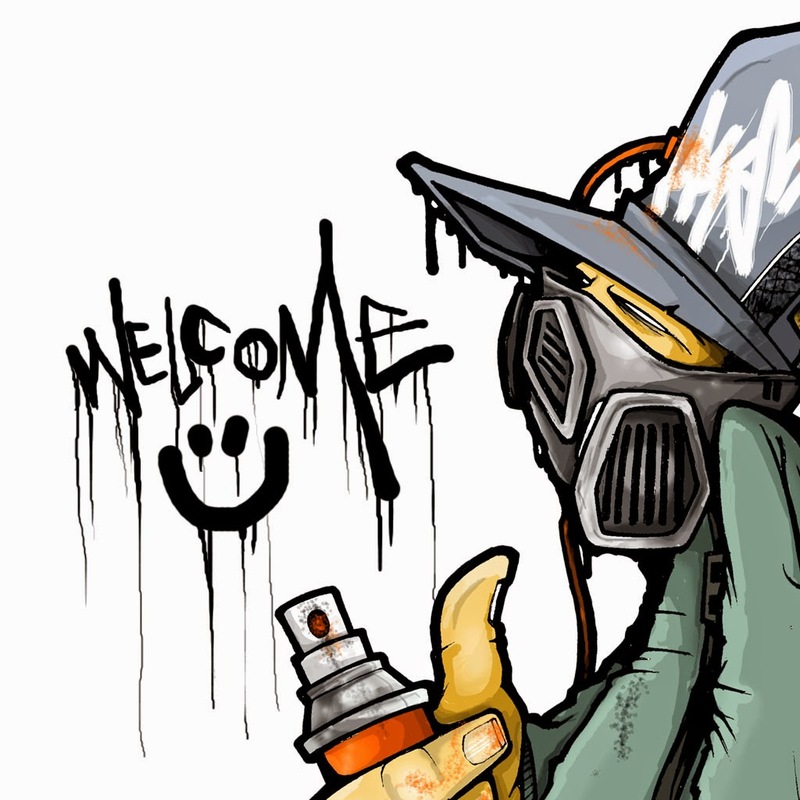 Recently made and fresh off the desk of makings are these four recycled spray cans with eyes that aren't really real, but might follow you around the room a bit, especially when your back is turned.. Sculpted onto empty cans and hand painted with acrylics before finishing with a coat of clear lacquer.. These 20cm tall cans have been pierced with a small hole at the back so they are completely empty and can be posted worldwide without any shipping restrictions. 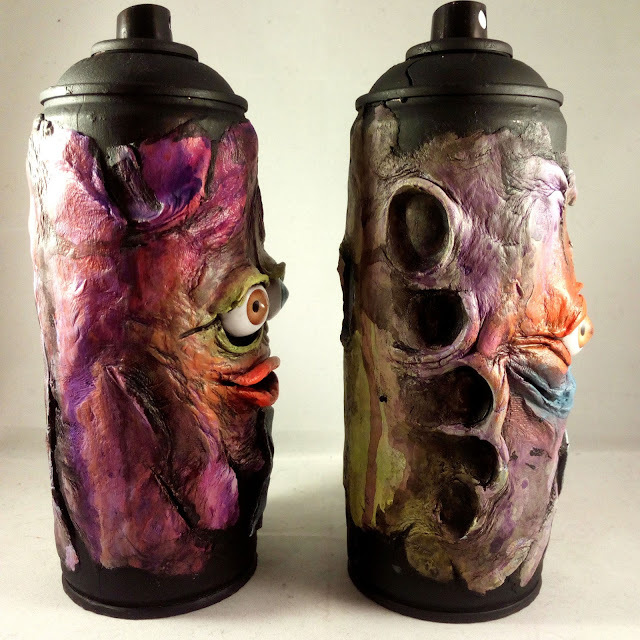 If you'd like to own one of these so you can put your fingers in the finger sized squish marks and feel like your squeezing the life out of a can, they are currently available from my Ebay store priced at £25 each plus postage..